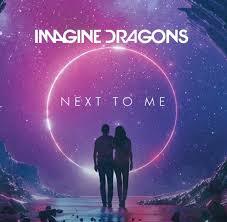 On Monday, March 13, 2018 trending alternative band Imagine Dragons released their music video directed by Mark Pellington for their new single, Next to Me, along with extending their international Evolve tour. The band has been thriving ever since their hit Radioactive from their 2013 album “Night Visions” impressed the nation, staying on Billboard’s Hot 100 list for a record-setting 87 weeks. Since then, Imagine Dragons has released two new albums with many popular hits off both, along with going on tours for their total three albums. All the tours have been extended and were international, many of which sold out. The band has just released new tour dates, extending the international Evolve tour to August 2018. Even though the band must be busy enough with touring and their own personal lives, they still manage to come up with a new single, Next to Me and make a non-traditional music video/film for it. The video for Next to Me is eleven minutes, opening in a 19-20th century setting. We see lead singer Dan Reynolds portraying a man whose fiancée just dumped him. He tries to pawn the engagement ring at a pawn shop, just to end up killing the man working there, played by guitarist Wayne Sermon. Reynolds marks his tallies as the days go by in prison until he is released, which is where the song begins. The song, along with its film, tells the story of redemption and forgiveness, especially in relationships. Of course, this ambition by the band couldn’t be fulfilled by a traditional 4-minute video, but rather a lengthy one, including dialogue. There is some confusion with the plot twists and ending, as I’ve seen while searching the internet to see what fellow fans thought of the new release from the band. Towards the end of the video, the color and saturation begin to turn grayer, and Reynolds receives lethal injection as his punishment. However, the last clip of the video before the credits is a beautiful countryside house with the man and his fiancée which is now his wife on the porch happy. I think this video was great, and so much effort was put into telling this story and getting a little personal with fans, as Imagine Dragons can be known for. The ending was brilliant in my opinion because it gives the viewers the option to decide what happened. I also cannot wait to see these guys in concert for the fourth time in July, and to see what exciting new things they have in store for us.